Hand crafted vanity unit in high gloss white with towel boxes. Counter top mounted 'Butler' style sink with chrome Monobloc mixer tap. Custom made Zebrano work top backed Chinese slate tiles. 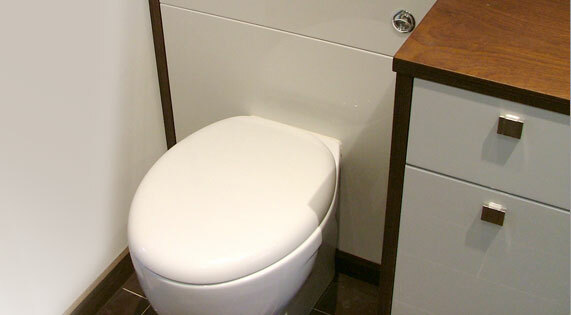 Custom built unit to house push button dual flush toilet cistern, in high gloss white featuring modern back to wall pan. 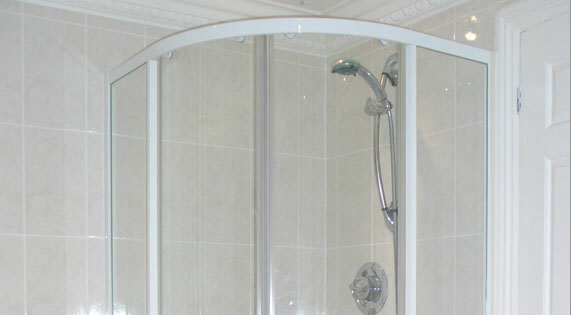 Shower cubicle fitted as part of a family bathroom. Mira recessed shower valve gives more space over to the shower. A corner bath in this light bathroom gives a feeling of space. 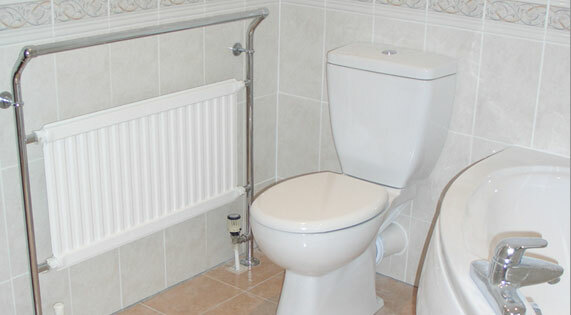 Large towel rail style radiator and traditional style push button toilet. 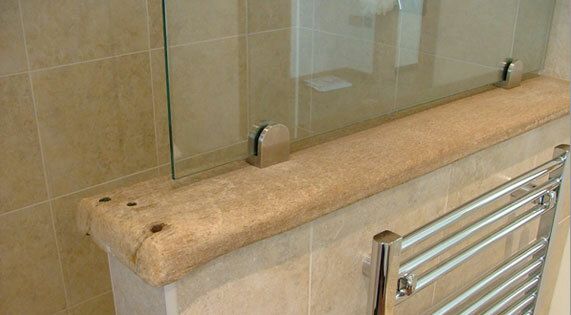 A separate shower and vanity unit compliment this bathroom. Free standing claw foot resin moulded Victorian style bath. Central tap/shower gives flexibility in use. Raised balck boarder strips pick up on the black and white floor tiles. 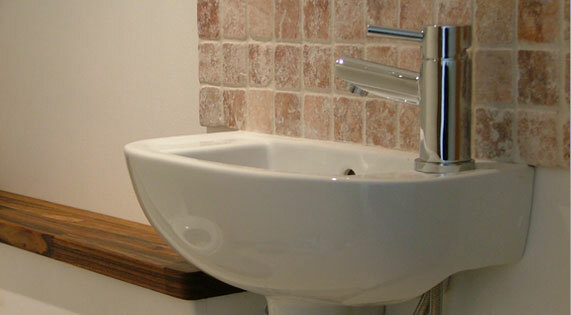 Refitted bathroom with a Victorian style sink, toilet and bath. 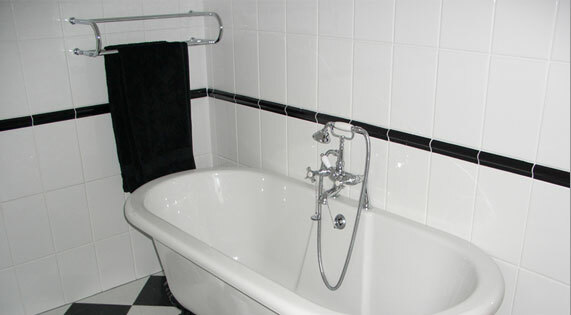 Simple yet effective black and white tiling compliments this style. 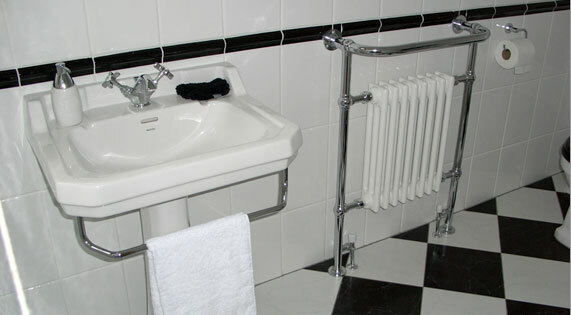 Traditional radiator also acts as a towel rail. 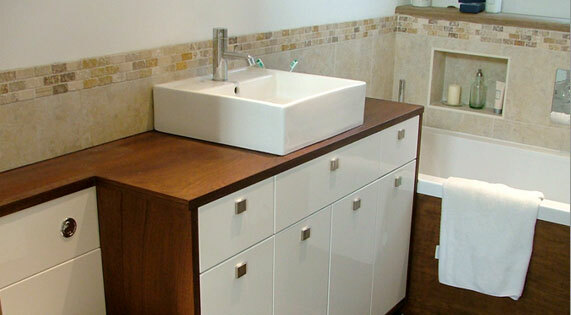 Hand built vanity units made from White high gloss and Sapele marine ply oiled for a rich dark effect. 'Butler' style sink with Monobloc tap mounted on Sapele marine ply and oiled to give a rich dark finish. 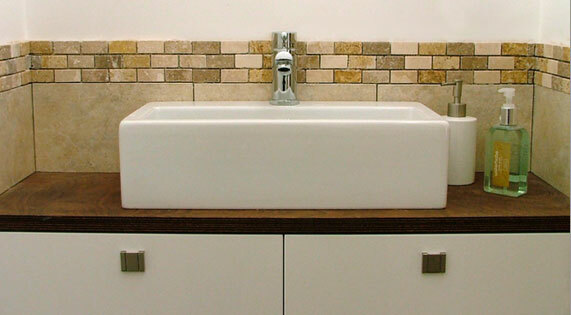 Mottled tiles with brick limestone boarder. Custom built dividing wall to the walk in shower. Natural reclaimed materials used for the capping allowing for a glass screen to complete the top section. A ladder style heated towel rail finishes the front wall face. 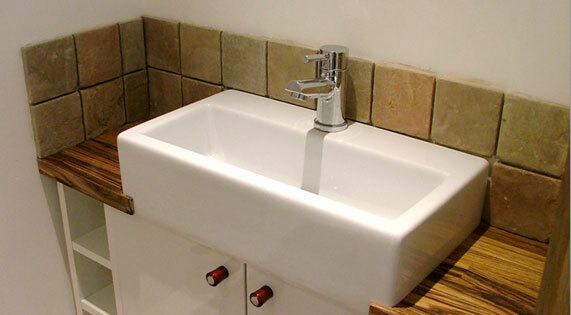 Wall mounted 'Butler' style sink with chrome Monobloc mixer tap. Red limestone tiles for the splashback and Zebrano wooden top finishes off the units. This compliments the colours and feel from the kitchen.